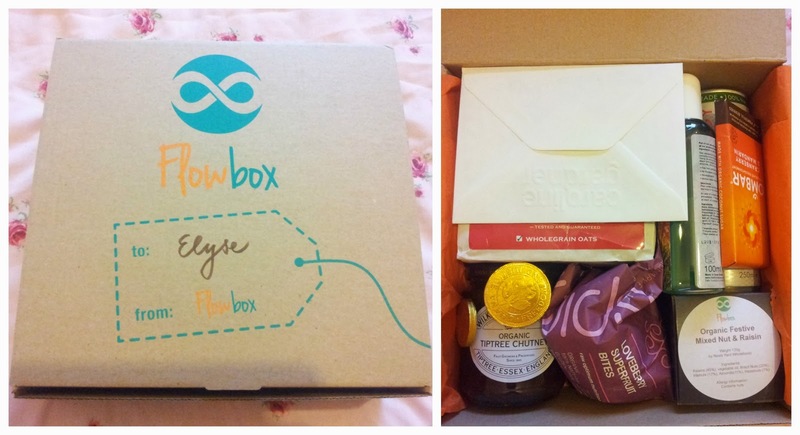 Flowbox are a new UK subscription box service which launched in October. Unlike other boxes Flowbox have focussed their products on health, eco-friendly and natural selections making these perfect all tastes. 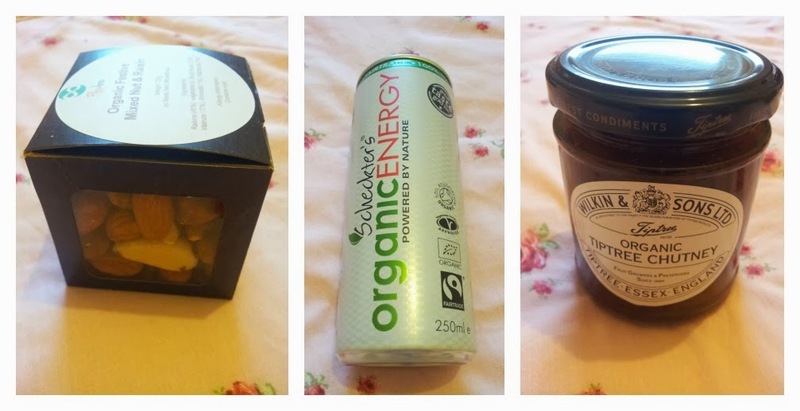 Flowbox kindly sent me their December box (£21.95) and I didn't know what to expect but you know me I love foods, health and eco-friendly products so I set about testing the products out. Initially I was surprised at just how relevant it was to my current needs. The December box contains products that are gluten free, vegan and cruelty free - you can enjoy with a conscious. Faith In Nature, Shower Gel & Foam Bath - Aloe Vera & Ylang Ylang shower gel and bath foam that smells incredible. 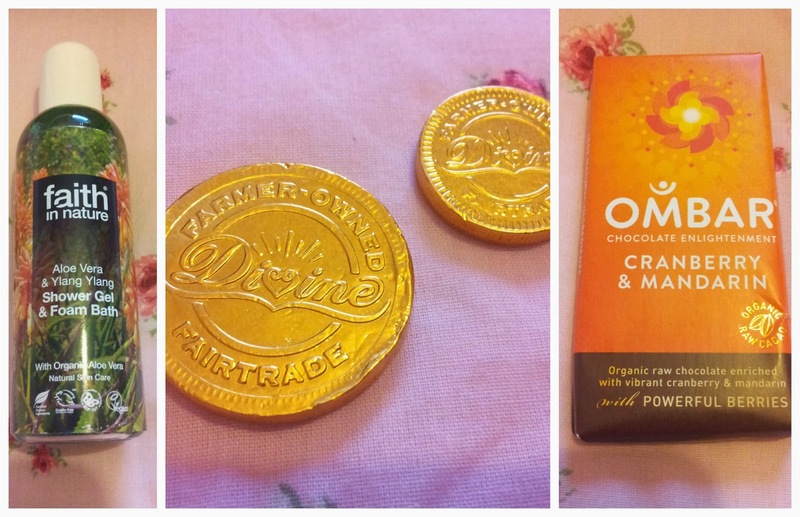 It's also gluten free and organic so is really suited to all skin types and sensitivities, my three sons adore this - they call it Hulk Wash.
Divine Fairtrade Chocolate Coins - I adore Divine chocolate, my munchkins pinched these before I got to hide them away unfortunately but by the looks on their faces they were yummy. Flowbox Organic Festive Mix Nuts & Raisins - These were yummy but then I do enjoy nuts and raisins especially around Christmas. 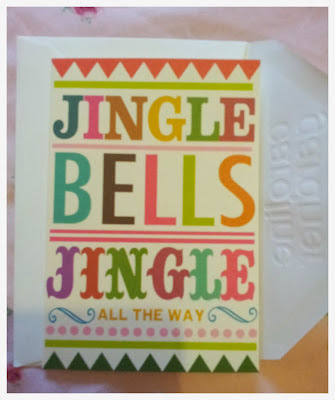 My dad and I used to sit in the living room eating nuts and raisins and watching bad Christmas TV, it was bliss. Scheckter's Organic Energy Drink - I've not tried this yet, I'm always a bit iffy with energy drinks but I will give this a try tomorrow - promise. It's vegetarian, certified organic and 100% natural, I doubt this one will give me the horrible side effects the other major brands did. Wilkin & Sons Ltd Organic Tiptree Chutney - I a-d-o-r-e chutney, not all of the time but with salads and curries it's delightful. I've not tried this brand yet as I'm planning on keeping this for Christmas but I've heard from other family members that's it's awesome. I'll keep you posted of course. Trek Cocoa Oat Flapjack - I didn't eat this as I'm not good with oats but it was passed along to a family member who said they were surprised it was so good. Having had bad experiences with pre-packaged flapjacks this didn't taste too glutty and stodgy. Each bar contains 9g of protein and are free from wheat and gluten too. Good stuff. Inspiral Loveberry Superfruit Bites - These were Moorish and came at the perfect time. I was seriously craving something that would curb my sweet tooth but my coeliacs was playing havoc, I was scared to eat anything but these are gluten free and organic. They needless to say went straight into my belly. I need more so badly. Glebe Farm Gluten & Wheat Free Oat Granola Crisp - If you like to indulge in fattening granola's (I use to before the gluten thing) then you are going to love this granola more I promise. 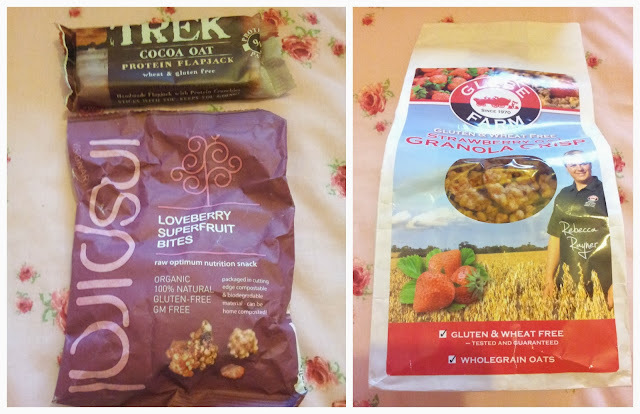 I've found that all of the gluten and wheat free products I've tried (including products outside of this box) are so flavoursome and taste homemade in comparison to average products. My only irk is that this wasn't larger (not Flowbox's fault of course). 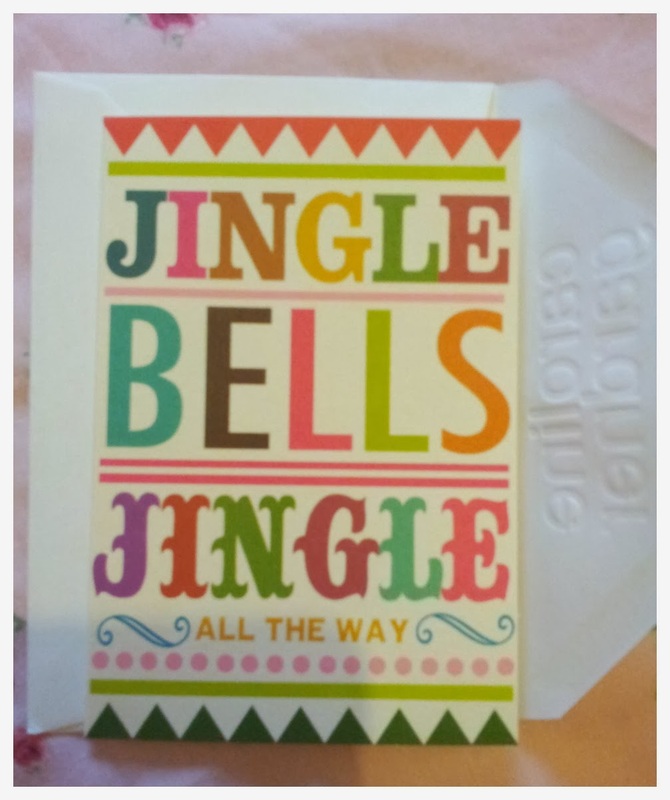 Amazing box isn't it. You can sign up for your own box over on the Flowbox website here. Boxes normally cost £21.95 but you can pick up your first box for the discounted price of £16.95.